If you’re visiting Annecy, I think the best road bike ride is the lake loop via Col de la Forclaz counter-clockwise (map at bottom). 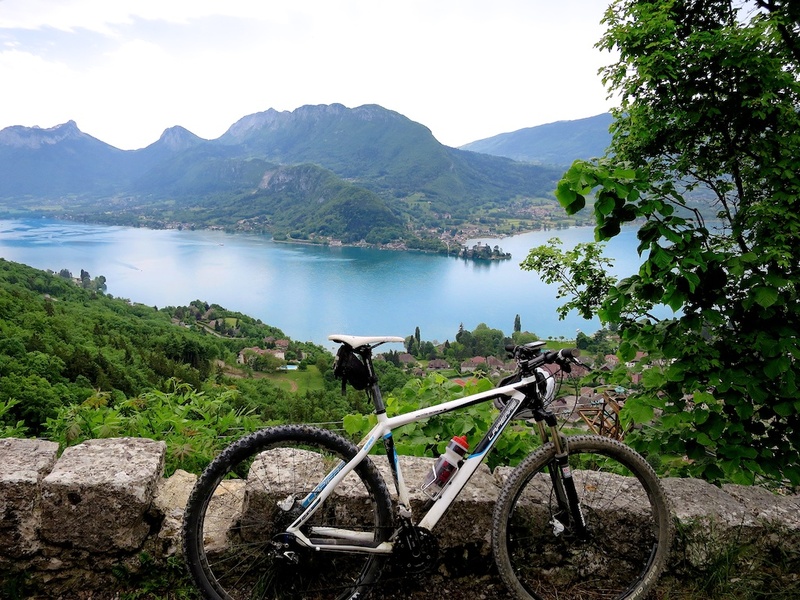 It starts with the west side of the lake via the wonderful Annecy bike path, then returns on the east side via the very steep climb to Forclaz, with the reward of the perfect lake view at the summit. 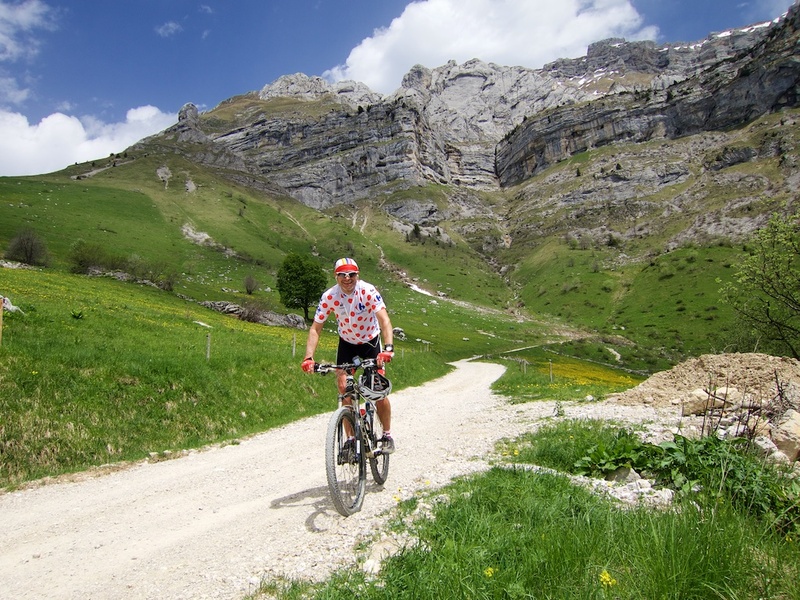 Today’s ride followed the above loop, but I brought my mountain bike, and added a “there-back” up to Col de l’Aulp – a superb little extension from the village of Montmin (a couple of kms before the summit of Forclaz). 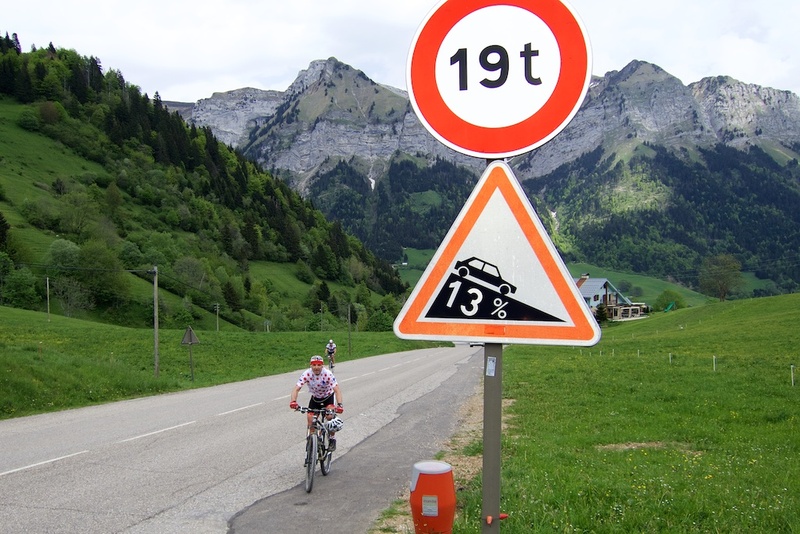 This makes for a very steep but superb climb. After approximately 20 kms, I left the bike path and headed to the start of Forclaz. Brutally steep, but quiet and interesting. 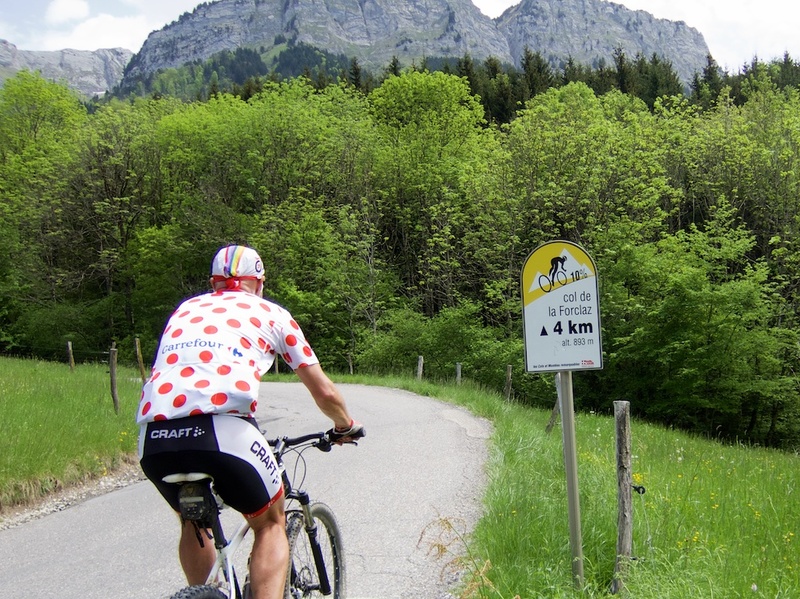 Forclaz is an old word meaning “narrow gap” – I think I’ve cycled five different Col de la Forclaz over the years. At the village of Montmin, the road descends briefly. Here is the turn off for Col de l’Aulp. It’s roughly four kilometres to the col, a couple badly paved, and a couple on a terrific gravel farm road. There are some hiking trails that are “possible” to descend/hike from here, but it’s rough, steep, and today very muddy — so I turned around, descended, and rejoined the road to Col de la Forclaz. This required another couple of kilometres of climbing. 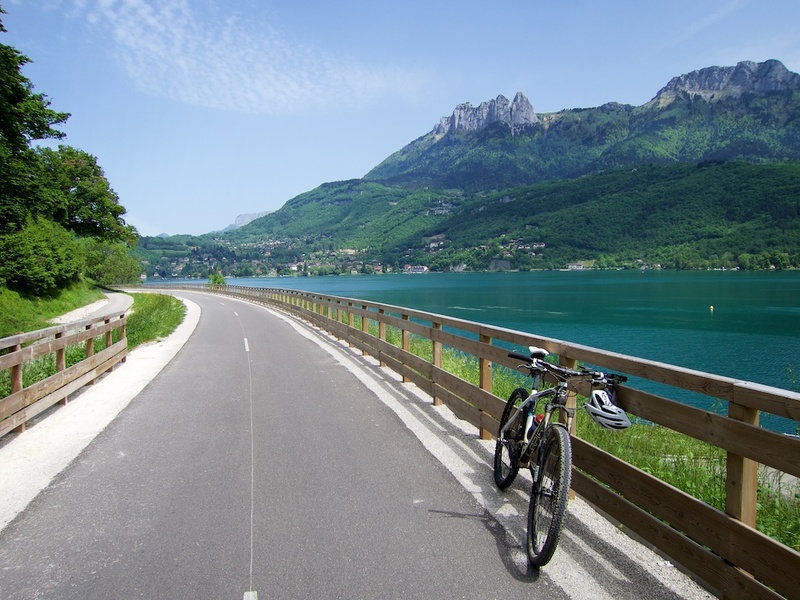 The east side of Lake Annecy is not great for cycling down low … but the authorities continue to add more and more bike lanes and there were a few kilometres 95% finished near Talloires. Nice. The east side of the lake at the very north edge has also recently added a couple of superb kilometres of bike-only lanes. And there is also new boardwalk with the occasional chair. How good is this for the end of a tough ride? 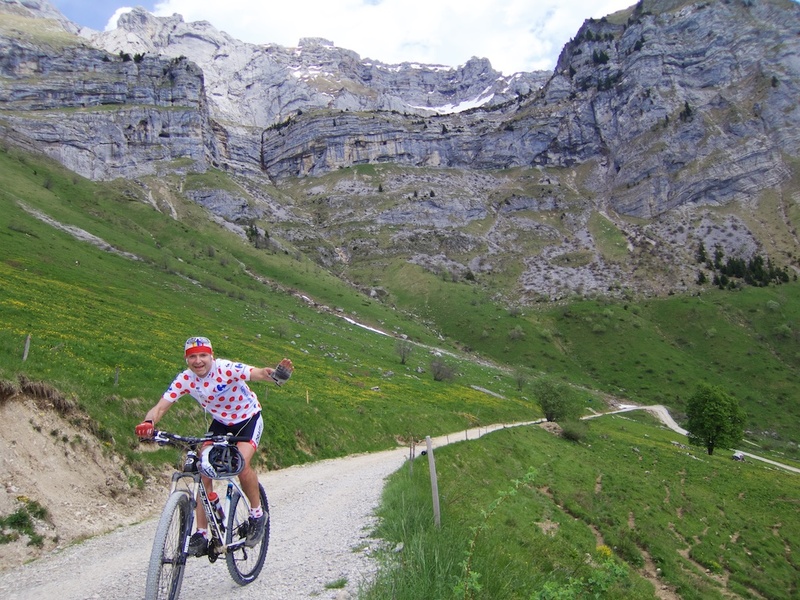 Again, this is the quintessential road bike loop from Annecy — but with a fun detour requiring a mountain bike: to the “secret” Col de l’Aulp.